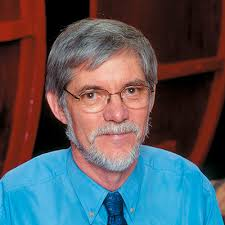 Patrick is a founding member of the ASVO and was made a Fellow of the Society in 2007. He began his academic career in 1976 and has been involved in teaching and research in the areas of grape and wine chemistry for over 40 years. Patrick has received many awards throughout his career. Patrick has been awarded the Order of Australia (OAM), winner of The Vin de Champagne Award, the Stephen Hickinbotham Memorial Trust Award (for his research on Pinot Noir grapes and wines), the Stephen Cole The Elder Award for Excellence in Teaching awarded by The University of Adelaide and the Wine Communicators of Australia ‘Legend of the Vine’ award for outstanding contribution to the wine business and industry at large. He is an Honorary Member of the Interwinery Analysis Group.In 2002 he retired from the University but remains involved with the University through his role as the inaugural Patron of The University of Adelaide Wine Alumni. “When I retired from the University I continued my involvement by taking the role of a Visiting Research Fellow. This involved some voluntary teaching duties for the first few years but mainly I remained involved by being part of the supervisory teams of Honours, Masters and PhD students and I was as an examiner of some research theses. I finished my involvement with my last PhD student submitting in 2015. In 2011 I was asked to be Patron of The University of Adelaide Wine Alumni. The Wine Alumni is for all staff, past and present and past students of Roseworthy Agricultural College and The University of Adelaide wine courses — Oenology, Viticulture, Wine Marketing and Wine Business. This is a great honour and I am very pleased that through this role I remain connected with many students and staff from both Institutions. Patrick has been described as being “an inspiration to many”and has helped launch the careers of many winemakers and viticulturists during his 40-year career as a university lecturer, publisher and author.